Our affiliates and partners sign up to our notion of peaceful coexistence and the protection of both Israeli and Palestinian children aged 4-17 in Gaza, Israel and the West Bank. Only approved bodies can apply for funding for projects, join our volunteers’ programme, attend conferences and other activities to advance our non-partisan, conflict resolution principles. 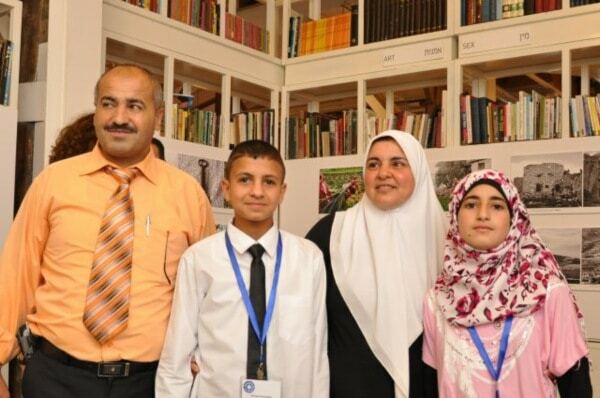 They join the Children of Peace Coalition of Peace – the largest network of peace groups across the Middle East. West Bank, Jerusalem, Haifa, Jaffa, Nazareth, France, Italy – The association ‘A.Dreams’ was born in 2004 because of a desire to promote the talent of all young people whatever their background. Individuals have the opportunity to discover to world of art and to explore and develop their artistic side outside of social and economic contexts, which are not always helpful in artistic expression. This is via meetings and exchanges based around artistic and cultural themes. Harey Yehuda, Israel, UK, USA – The Abraham Fund Initiatives works to advance equality and cooperation among Israel’s Jewish and Arab citizens. Through its “advocacy through action” strategy, The Abraham Fund develops and operates groundbreaking social-change initiatives that have inspired public support and harnessed government resources. This is to replicate programs and adopt policies that promote democratic values of equality and social inclusion in Israel. Education for a Shared Society. USA, Israel, Palestine – Abraham’s Vision is a conflict transformation organization that explores group and individual identities through experiential and political education. Examining social relations within and between the Jewish, Muslim, Israeli, and Palestinian communities, they empower participants to practice just alternatives to the status quo. Beer Sheva, Israel – AJEEC-NISPED is an organization working towards creating equal, inclusive, and flourishing societies. Arraba, Galilee – al-Taj for Health and Heritage provides health and community support for Palestinian communities in Israel. More specifically, they focus on improving the quality of life of people with diabetes and cancer in the Arab sector. Raising awareness of cancer prevention such as healthy lifestyles. Avoidance of active and passive smoking. Early detection by identifying signs of the disease. Screening for men and women different types of cancer, especially for people at high risk. West Bank, Jerusalem – The al-Quds Center for Dialogue and Democracy is an independent think-tank formed in 1999. They promote values of peace, democracy, tolerance and the culture of peace in Palestinian society and through dialogue with Israeli counterparts. Rahat, Israel – This is an Arab¬Jewish community development organisation, catering to the challenges of Bedouin society from the grassroots level. A New Dawn believes that education, employment, and leadership are the key elements helping the youth rise out of poverty to become active, engaged citizens in civil society. Ramat Ha-Sharon Israel – promotes the School Twinning Shared Citizenship program implemented in over 60 schools in cities and regions populated by both Palestinians and Jews and in geographic proximity to one another. Nazareth, Israel – The Arab Filmmaking Center focuses upon developing education programmes in the arts, music, television and film to celebrate and develop the Arab cultural heritage. This is whilst preparing youth and students with the professional skills to build an Arab Center of film in Israel. Jaffa, Tel Aviv – In operation for more than two decades with a mission to increase intercultural cooperation, tolerance and trust between Arabs and Jews in Israel. 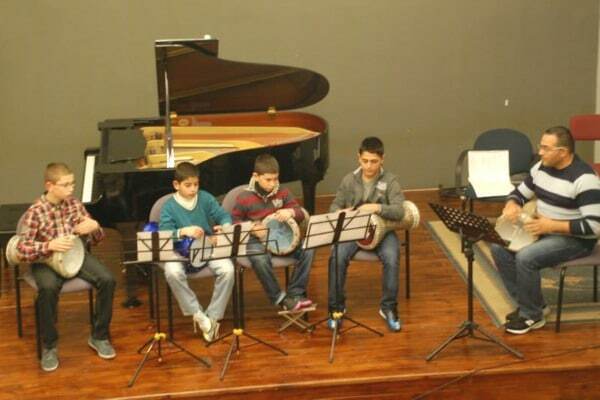 Israel – The orchestra is composed of 20 Israeli Jews and Arabs aged between 15 and 25. It was founded in 2002. This was by Dr. Meir Wiesel, Director of Youth and Music. Its musical director is the renowned composer, conductor and oud player Prof. Taiseer Elias. Jaffa, Israel – Consist of a group of volunteer Israeli women who organize special beach days for Palestinian children from the West Bank. These children are usually prevented from going to the sea, except by special permit, which they obtain for them and their parents. The beach day is an all-volunteer event which includes beach time on the Bat Yam beach, lunch and guided group activities at the Arab-Jewish Community Center in Jaffa. The children’s excitement at the sight of the sea, their joy with their parents on a day that is all freedom, widens the heart and encourages hope. Shefamar – Beit Al Musica was founded in 1999 to provide an answer for the disempowered Palestinian children and youth within Israel. This was by providing a professional framework for teaching music and filling the void present in the Palestinian community in Israel in the areas of musical education and musical community activity. Gaza, Palestine – Benevolent Health Association For All is a non-profit, non-governmental civil organization supervised by the Board of Directors. (BHAA) has carried out a variety of projects serving children suffering from poverty, siege and insecure living conditions. These projects involve numerous fields of life: educational, social, and health. Bath, Bethelehem – The Bethlehem-Bath Links charity creates cultural, sports, business and friendship links between the UNESCO World Heritage cities of Bath and Bethlehem. The charity is based in Bath, with representatives in Bethlehem, and is creating sports, business, cultural and friendship links between people in the two cities. Bethlehem – helps needy people in the West Bank through different programmes, which are able to assist various people in the community. The Bethlehem Star charitable society has developed three different programmes including The Golden Jubilee Program for elderly people and The Young Couples Program designed to assist young couples and their children. Israel, East Jerusalem, Jordan and Turkey – Budo for Peace consist of four martial arts for peaceful co-existence dedicated clubs and 16 affiliated clubs. The youth in these clubs are from different ethnic communities such as Bedouin, Jewish, Ethiopian migrants, Druze, Arab Christian and Muslim. Turkey, USA, Sweden – Building Bridges is an NGO dedicated to promoting peace, justice and tolerance throughout the world. Associates are involved directly in projects, while at other times presenting at conferences. They use media for interfaith and intercultural projects. Building Bridges has affiliates in San Francisco, California; Oresund, Sweden; and Istanbul, Turkey. We celebrated our tenth anniversary in 2015. Ramallah and Jerusalem – initiates and promotes activities that lead to the development of democracy, civic society, culture, and a more humane world. Beit Ummar, West Bank, Palestine. The Center addresses the lack of community development and organizing programs in rural Palestinian communities. Through a combination of educational and development programs, the Center seeks to build the collective and strategic power of these communities, and improve the lives of rural West Bank residents. Morocco Larache – a Moroccan association focusing on helping the needy and disadvantaged, located in a small coastal town in the north of the country. Northern Gaza. CWA aims to increase social empowerment and the elimination of all forms of vulnerability and poverty, poor education and underdevelopment, helping disadvantaged marginalised groups to provide a decent life for them. Jerusalem, Israel/Palestine – consist of a group of Israeli and Palestinian individuals who were actively involved in the Israeli-Palestinian cycle of violence. The Israelis served as combat soldiers in the Israel Defense Forces and the Palestinians were involved in acts of violence in the name of Palestinian liberation. These men, who have used weapons against one another and looked at each other only through weapon sights, cooperate today to bring an end of Israeli occupation and a peaceful solution to the Israeli-Palestinian conflict. Combatants for Peace initiates projects that focus specifically on the younger generation in an attempt to promote peace and mutual understanding. Among these on-going projects are the construction of playgrounds in the village of Anata in northern Jerusalem and lectures in schools throughout Israel. Creativity for Peace work with young women in Israel and Palestine to create peace from the ground up. A leadership programme builds emotional resilience through dialogue. They equip participants with social action skills and train them partner for peace with their former enemies. The strength of their leadership lies in the authenticity of their voices and their commitment to non-violent conflict transformation. Israeli and Palestinian Young Leaders also facilitate our US-based efforts for American young people. Toronto, Canada. Daughters for Life is a registered Canadian charity that provides young women in high school and university the opportunity through education to develop a strong voice. This is as well as playing a more influential role in improving the quality of life throughout the Middle East. “We believe that every girl in Palestine and throughout the Middle East has the right to higher education and training. Gaza – The deprived child charity association (DCCA) is a humanitarian, non-governmental, non-political, non-denominational and non-profit group. It is seeking a safer and more equitable life fighting disease, poverty and violence in marginalized areas of the Gaza Strip Palestinian territories. Tel Aviv, Israel. Debate for Peace uses Model United Nations (MUN) as a framework for bringing together Arab and Jewish students from different communities to debate the most salient and sensitive topics in a respectful manner. Through MUN conferences, delegations abroad, training sessions, retreats, diplomatic visits, and social and volunteering events, the organisation empowers young leaders with skills and knowledge about how to change the world around them, connect them to their peers from different communities and enable them to develop deep friendships, and provide a physical and digital space for these interactions to continue. Because Debate for Peace has students from all over Israel, as well as Palestinian cities, there is no one physical location. They hold conferences all around Israel, and meet regularly in Tel Aviv, as well as leading delegations to Europe and North America. Japan, Europe, Canada, United States. A global community of people who believe and promote a way of living based on Buddhist principles of compassion, empathy and spiritual development for all beings. UK – Equity and Peace is an independent lobby and social media campaign for a sustainable peace between Israel and Palestine. This project takes a pragmatic approach. It does not look back, it is non-partisan. It is putting the Israeli-Palestinian conflict within a broader framework of inequality and human rights. Equity and Peace raises questions, opens a dialogue and calls for a plurality of constructive responses. Hopefully this could build enough momentum to help break the current impasse of this complex conflict. United Kingdom, Israel – Football 4 Peace is a sport-based co-existence project for Jewish and, Arab children from towns and villages in the Galilee region of Northern, Israel. The project is run in partnership between Chelsea School, University of Brighton in the UK, the British Council and the Israel Sports Authority. Binyamina, Israel – the Freddie Krivine Foundation is unique in bringing tennis to Israel’s Arab sector. They have ten years experience in creating coexistence and equal opportunity for Jewish and Arab children through tennis. The Foundation supports and create tennis schools in Arab towns and villages, where previously there were none and it creates inter-school tennis programmes where children of different cultural backgrounds meet, nearly always for the first time. Freedom Forum, Ramallah West Bank works with youth and communities of Palestine, providing them with opportunities through music and sports projects, so that conflict zone youth have the chance to express themselves freely. United Kingdom – FBFF is a charity which works in the UK to support the Parents Circle-Families Forum. It is a non political organization of bereaved families in Israel and Palestine that promotes dialogue, reconciliation and peace across the divide. They develop projects that build trust, recognise joint responsibilities and affirm the shared desire for dignity and freedom as a basis for just and peaceful co-existence. Shefa-Amr – the Arab National Society for Health, Research and Services – strives to achieve equitable health, environmental and socio-economic conditions for Palestinian Arabs in Israel. As the largest and longest-standing Palestinian NGO in Israel, the Galilee Society is known and trusted by the Palestinian community as an organization that works to protect minority rights. Therefore, this promotes and strengthens democratic principles of pluralism and equality in Israel. Israel (Nazareth), Palestine (Jenin), Italy (Verona) – “Il Germoglio” works in partnership with the Italian Co-op. CNT (Roma) and Israeli and Palestinian’s organizations. Since 2005 the organization promotes the “Flowers of Peace” project that offers to both Israeli and Palestinian adolescents the opportunity to meet in Verona, with the aim of helping them overcome psychological trauma caused by the conflict and any subsequent fear, prejudices, rejection, resentment, hatred and thirst for revenge between the two peoples. The children participate to work sessions that encourage them to open up to each other, to communicate their traumatic experiences and to narrate their most painful experiences. The groups link up with local schools in Verona. Beer Sheva, Israel. HAGAR: Jewish-Arab Education for Equality is a spring-board for social change through its bilingual, multicultural school and community programming. As parents and community members partner in the educational process, they create a community of Arabs and Jews who learn and work together towards a shared and peaceful future. Gaza. To relieve the suffering of children with diabetes, and alleviate the pain and the complication of that disease and to offer better services to that marginalised group. Jerusalem, Wadi Ara, Galilee and Beer Sheva Israel – promotes a new educational model of bilingual, multicultural education in Israel where Jewish and Arab children and youth study together in schools as equals. Hand in Hand’s mission is to establish and promote integrated Jewish-Arab schools across the country, creating an environment that will strengthen individual and civic identity in young children. And building a new model of peace education and partnership between children, teachers, parents, the wider community, and ultimately promoting social change on a national level. Hand in Hand has a network of schools in Jerusalem, the Galilee, Wadi Ara and Beer Sheva and continues to expand. The schools are a model for integrated Jewish Arab education building understanding and cooperation between a new generation of children and youth fostering cooperation, dialogue and mutual respect among Arabs and Jews, aiming, within society to transform and overcome conflict. Jaffa, Israel – Hila’s purpose is to empower parents of any ethnicity to become well informed, efficient communal leaders and agents of change. They promote a future of equality and respect for all including Christian and Muslim Palestinians, Ethiopian and other Jews. So they can meet, connect, mutually learn from each other and develop solidarity. Bethlehem, West Bank – The Hope Flowers School was founded to develop attitudes and skills that foster peaceful resolutions to conflict. The school seeks to cultivate positive values within Palestinian society and to build relationships between Palestinian children and people of other cultures. This is as a basis for creating understanding and peaceful relations worldwide. Haifa, Israel – House of Grace is a community-based organization based in downtown Haifa, Israel. A central area of its work is operating youth empowerment projects for Haifa’s Arab youth (Muslim and Christian) that live in unprecedented conditions of socioeconomic deterioration. Sports for Youth Leadership (with Girls Netball and Boys Football Teams who have regular matches with local Jewish children). UK – The Humanitarian Intervention Centre is an independent foreign policy think tank comprised of talented activists across the political spectrum. London-based with a global reach. HIC’s main goal is to highlight the consequences of action and inaction in humanitarian crises across the globe. It’s Fellows contribute to leading journals and international media. West Bank, Israel – Human Without Borders assists West Bank Palestinian children to obtain advanced medical care in medical centres in the Jerusalem and Tel Aviv areas, including Hadassah, Sharaei Zedek, Alyn, Beilinson and Schneider. These hospitals possess the qualified staff and specialized equipment to treat a range of serious and life-threatening diseases. USA. A New York based organization that reaches out across religion, race, gender, and beliefs and amplifies a constructive and unifying message of togetherness and mutual support. It highlights the positive acts carried out by individuals and communities in daily life, often unrecognised in a world obsessed by conflict and division. Lebanon. IFI was set up in 2015 in response to past and present tensions in Lebanon brought about by the persistence of sectarian violence. IFI Lebanon provides forgiveness based education programs for youth and young adults by equipping them with the skills needed to explore peaceful conflict resolution. This in turn helps to create peace mechanisms for the Lebanese host community as well as the displaced Palestinian and Syrian communities. Jerusalem – IPCRI is a joint institution of Israelis and Palestinians dedicated to the resolution of the Israeli-Palestinian conflict on the basis of “two states for two peoples” solution. IPCRI recognizes the “two-states for two peoples”solution as the ultimate fulfillment of the national strategic and security interests of the two peoples. IPCRI therefore recognizes the rights of the Jewish people and the Palestinian people to fulfill their national interests. This is within the framework of achieving national self-determination within their own states and by establishing peaceful relations between two democratic states living side-by-side. Israel. The Israel Youth Award is one of the forefront organizations in Israel promoting links between youth from all over the country. They bring together Arab, Jewish, Bedouin, Druze, Circassian, Christian, and Muslim youth in Israel to enable learning and growing together. This is through joint initiatives as neighbours and friends including hiking trips, service days, and national conferences. Jaffa, Israel – Founded in 1982, the Institute for the Advancement of Education in Jaffa “The Jaffa Institute”assists around 4,000 severely disadvantaged children aged 4-18, and their families, regardless of religious or ethnic background by providing educational, recreational and social enrichment programmes that endow children with a sense of self worth, while furnishing them with the skills needed to succeed in contemporary Israeli society. Jenin, West Bank. 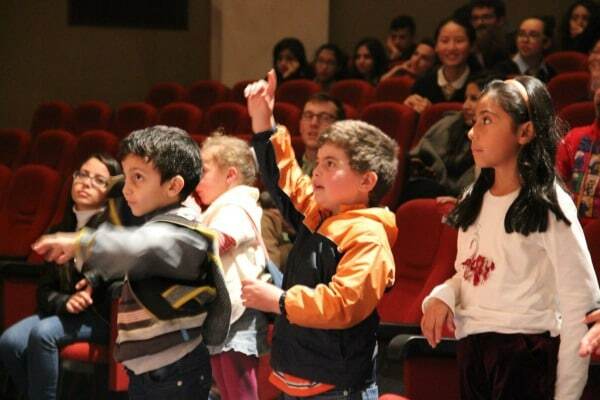 The Jenin Creative Cultural centre aims to use art and cultural projects. This is to foster peace and justice in the Palestinian occupied territories. The creative methods are meant to help children lessen their depression and allow them to express themselves especially as they deal with the realities of life in Palestine. Jezreel Valley, Nazareth and Yefia – Jezreel Valley Center for the Arts is a groundbreaking music and dance centre teaching Arab and Jewish children from across the region, including the Tenufa school music programme which brings music studies to thousands of young children. Jerusalem. The Jerusalem Inter-Cultural Center was founded in 1999 with the intent of assisting the city’s residents, from diverse identities, in becoming responsible active partners in shaping the city’s future and the development of their communities. Their approach encourages cooperation and support between the different organizations that can help create a city that involves its residents. As part of its mission, the Center conducts training programs and provides professional guidance in areas associated with professional project management, community dialogue and working within multi-cultural frameworks. Tel Aviv, Israel; Ramallah, West Bank Palestine – Kids Creating Peace provides a value-based coexistence curriculum that incorporates skills, leadership and dialogue training to help provide the knowledge, tools and inspiration for children to choose the path to peace. By engaging young people, and building their self-esteem, the programmes stimulate a “ripple effect” in which the child plays an active role in shaping his or her family and the community in which they live. This model has proven to be truly life changing for participants and their families. Kids4Peace is a global, nonpolitical interfaith education for peace organization, working with more than 200 Jewish, Christian and Muslim youth each year, from Israel, Palestinians and the USA. Through summer camps and leadership training programmes, they develop a community of young, interfaith leaders equipped with the knowledge, skills and relationships to build – together – a new culture of peace, in the Holy Land and around the world. Kids4Peace Chapters across the United States plan, fund, and host summer camps programmes with young people and staff from Jerusalem and the USA. They also organise follow-up efforts for American youth. Each chapter has its own mission, programmes, and ways of engaging their local interfaith communities. An interfaith team of educators – women and men from all three Abrahamic religions – lead the programmes in Jerusalem, which draw youth from East and West Jerusalem and the surrounding region, including Ramallah, Bethlehem, and Qalandiya. Jordan. King’s Academy provides a quality education and an experience unlike any available in the region. The Academy provides students with unique opportunities to excel academically, athletically and artistically, and also instils a keen sense of responsibility and maturity. Founded by King Abdullah II of Jordan, the Academy is on track to becoming recognized as one of the best independent boarding schools in the world and plans to become an active Partner of Children of Peace in the region. London, UK – Founded to open up dialogue and debate amongst moderate Jewish and Muslim students and staff at this prestigious London University. The forum hold important meetings to foster trust, understanding and tolerance, inviting notable speakers to key debates and sessions. Gaza. Working to give the disabled and cerebral palsy the right of living with dignity and respect. The organisation provides full services for cerebral palsy and other disabilities to lead fulfilled and dignified lives, as valued members of the community. Ibillin, Israel – The Mar Elias Educational Institutions (MEEI) is a consortium of six schools founded by Father Elias Chacour in Ibillin, in the Galilee region of Israel. Father Chacour was consecrated as the Archbishop of the Catholic Melkite Church in Galilee. MEEI is a Christian institution that embraces students and faculty from Christian, Muslim, Druze, and Jewish traditions who study and teach together as one community of learning and service. Beer-Sheeva, Israel – Maof School is an Arab-Jewish education centre that aims to provide a supportive environment. They help every child to reach their fullest potential, learning to respect the needs and feelings of those around them and caring for the community in which they live. Dair El Ballah, Gaza. Strengthening and empowering individuals, families, and communities to develop resilience by promoting mental health and wellbeing through proactive programmes. Israel – Founded in 1997 by the owners of Hapoel Tel Aviv Football Club, Mifalot is the largest and most diverse sport for development and peace organization in the Middle East. To date, over 20,000 children and youth in Israel, Palestine and Jordan participate in Mifalot’s programmes each year. California, USA – Musicians for Peace is a global network of performing and fine artists who dedicate their work to peace, promote freedom of expression through the arts and oppose governmental repression of creativity. They preserve the diverse cultures of the world through cultural exchange; supporting environmental, human rights, world hunger and peace education organisations with their work. They also support the goals of the United Nations and other international bodies addressing global issues. Israel – NCC is an independent, non-governmental organization that works to protect and promote the rights and well being of all children in Israel without discrimination and without geographical, religious or economic limitations. The NCC cares for children living in Israel from birth to age 18 through advocacy, lobby, representation, research and education. They are concerned solely with the children’s best interest, well-being and rights. The Negev Coexistence Forum for Civil Equality (NCF) is a grassroots non-profit organization in Be’er-Sheva. The NCF was jointly founded by Jewish and Arab residents to advance the principles of partnership and equality between the diverse communities in the Negev. Shimson, Israel – Neve Shalom Israel – Wahat al Salaam is a cooperative, successful village of Arabs and Jews in Israel. Their community model is based on a generally unstated principle that the destinies of Palestinians and Jews are closely linked. The experience of Wahat al-Salam – Neve Shalom shows that it is possible for Jews and Palestinians to work together to build a vibrant community that challenges the status quo of inequality, prejudice, injustice and oppression. Ramat Hasharon, Israel – A New Way (ANW) has a Shared Citizenship program pairing Arab and Jewish schools in a year-long joint intensive, meaningful and experimental program. Activities foster dialogue and encounter sessions utilise a broad array of joint activities both within and outside the classroom. Jabel al-Mukaber, East Jerusalem – The Nuran Charitable Association is a non-profit, non-partisan organization located in East Jerusalem. Nuran offers emergency medical care services and preventative health education in East Jerusalem, and promotes philanthropy and volunteerism in the Palestinian community. It is entirely operated by volunteers (a few paid staff provide specialty services, such as courses) and its work is held in schools and community centers, with activities included at various public events, seminars and lectures throughout East Jerusalem. Its services provide vital life-saving aid to many Palestinians, and its courses and other activities empower thousands, reaching not only the people of Palestinian East Jerusalem, but also areas of the West Bank, including major cities such as Bethlehem and Hebron. UK, Israel – One to One projects in Israel supports the most vulnerable members of society – children – many of whom are exposed to trauma, violence, stress and hunger. They are working with Bedouin, Druze, Jewish and Arab children by running after school centres, cycling clubs, martial arts clubs and horse riding for children with special needs. Their positive commitment has helped over 5000 pre-school children. Funds are raised through sponsored treks in Israel, donations and grant making trusts. Ramallah, Tel Aviv – OneVoice is an international grassroots movement that amplifies the voice of mainstream Israelis and Palestinians, empowering them to propel their elected representatives toward the two-state solution. The Movement works to forge consensus for conflict resolution and build a human infrastructure capable of mobilizing the people toward a negotiated, comprehensive, and permanent agreement between Israel and Palestine. This is one that ends the occupation, ensures security and peace for both sides, and solves all final-status issues in accordance with international law and previous bilateral agreements. Palestinian Association, Gaza Strip works with children to promote road safety together with health and safety for employees and local community to create safe space for children to live and learn. USA, West Bank, Gaza – The Palestine Children’s Welfare Fund is a non-political, non-religious enterprise whose aspirations are purely humanitarian and for the purpose of emancipating the children of Palestine and the human rights of the people and children of Palestine. This is through a process of mutual respect, conflict resolution and understanding between all communities in the region. Ramallah, West Bank, Palestine – The Center’s leading initiative is to assist people from the Middle East and particularly in Palestine, Jordan and Israel to look for better alternatives to find solutions to the current conflict. The Center focuses on the sanctity of life as both a means and an end in itself. Gaza – PNA works to help people, especially children and women, by introducing health services to them and raising the health service quality to all Gazans. Geneva – the Palestinian Peace Coalition-Geneva Initiative is a non-governmental Palestinian organization that works on issues of education for peace and non-violence. The PPC-GI emphasizes the ideals of “making peace our horizon”and “peace is possible”. Hence, children are one of their main areas of interest. They have organised and continue to organise summer camps for Palestinian children on issues of peace education. As grassroots organization, the PPC-GI works in cooperation with Israeli counterparts (Geneva Israel) in bringing people – Palestinians and Israelis – together with two programs in this regard, one for grassroots and another for politicians. Tel Aviv, East Jerusalem – The Parents Circle-Families Forum is an organization of Israeli and Palestinian Families who have all lost immediate family members in the conflict. The long-term goal of the Parents Circle-Families Forum is to build trust between both sides by initiating a process of reconciliation. To achieve this goal they work to imbue both sides with a sense of tolerance and reconciliation, rather than hatred and revenge, sharing with others their personal and painful stories. Each day through their activities and outreach, they reaffirm the sanctity of life and the need to safeguard human dignity and freedom. United Kingdom – Peace21 is positive social network that aims to promote peace throughout the world by collective petition. The group aims to share and celebrate life, our heroes, lost loved ones and charitable projects. Founded in 1988, PCI uses theatre and the arts as a tool for repair and advocacy between Jewish and Palestinian communities throughout Israel. “Du-Drama” is a youth programme comprised of weekly meetings at partnering (neighbouring) schools followed by rehearsals for productions of bi-lingual plays that are performed by these young leaders for thousands of student audience members. This is in order to change attitudes, serving as a positive role model for their peers and the communities. The “Du-Drama” program is recognized by the Israeli Ministry of Education. 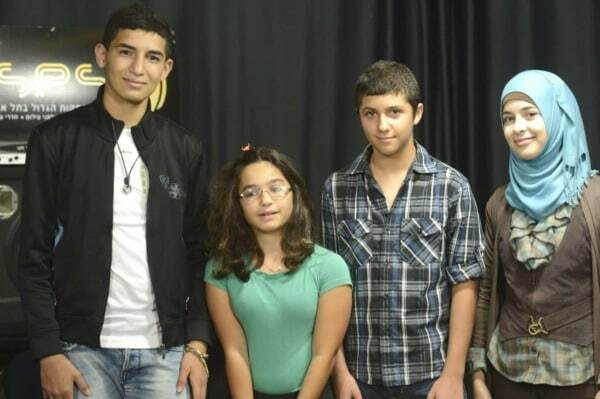 United Kingdom – PeaceInsight provides educational and friendship programmes between Israeli and Palestinian students. The young people come to a two-week residential summer camp in Britain and learn how to deal with conflict, fear, prejudice and hatred. Israel – Tel Aviv, Jerusalem . Peace Now works on public exposure and advocacy to enhance the possibility of realising a negotiated two-state solution between Israelis and Palestinians. The organization runs educational programmes for youth. The flagship project is Settlement Watch, which monitors and exposes settlement growth and the moral, political and economic threats they cause to a negotiated agreement and the democratic state of Israel. Israel, West Bank – Peace Oil is a cooperative venture of Jewish, Arab, Druze and Bedouin farmers who grow, harvest and bottle a prize winning range of extra virgin olive oil available in the UK. Profits from Peace Oil are used to support peace and reconciliation work in the Middle East. Israel, International – PeacePlayers International is a non-profit organization that use basketball as conduit to unite and educate children from divided communities. Currently, PeacePlayers International runs year-round programs in Northern Ireland, South Africa, Middle East (Israel and West Bank) and Cyprus. Jerusalem – the Peace Preschool at the Jerusalem International YMCA in Israel brings together Christian, Muslim and Jewish children in a loving and peaceful environment. Tel Aviv – active and practical initiatives in promoting peace between Arabs and Jews across the region. Tel Aviv – supporting research and providing initiatives for Israeli and Palestinian doctors and medical services. Tel Aviv – organising highly successful joint sports activities and programmes for Israeli’s and Palestinians. Tel Aviv, Israel – Building on twenty years of joint concrete work by Israeli and Palestinian medical professionals and activists, they are committed to an alternative vision of Israeli and Palestinian society, based on human rights, medical ethics and social justice. Work combines direct medical aid with advocacy for long-term policy change that will end occupation and bring health and security to both peoples. The communities they work for: Palestinians of the occupied Palestinian territory, Palestinian and Israeli prisoners and detainees, Bedouin communities in the unrecognised villages of the Negev desert, marginalised Israeli communities and undocumented people, migrants and refugees living in Israel. The communities they mobilise: Over 1,500 members and volunteers, including medical professionals, medical students and human rights activists. Jerusalem – Founded in 1988, Rabbis for Human Rights is the only rabbinic voice in Israel explicitly dedicated to human rights. Deriving their authority from our Jewish tradition and the Universal Declaration of Human Rights, their mission is to inform the Israeli public about human rights violations in Israel and in the Occupied Territories. This is as well as pressuring the State institutions to redress these injustices. USA, Germany – This is a passionate, dedicated but still very small philanthropic organization. It plans a more significant contribution for games and play to resolve conflict through targeted strategic partnerships. Rational Games leverages limited financial and intellectual resources with those of larger partners with a deeper footprint and reach. The Rebuilding Alliance rebuilds homes and communities in regions of war and occupation. They advocate for government policies towards these regions based on human rights and international law. Through a mutual commitment to justice, they create alliances among their supporters, partners, and those who suffer injustice and violence, yet resist through rebuilding. Their projects are symbols of hope that help rebuild shattered communities and offer people around the world immediate ways to make peace. This starts with the tangible support of a family’s right to a home. Karkur, East Jerusalem – The Road to Recovery is a non-profit organization, which assists Palestinian patients who receive in Israeli hospitals medical care that they cannot receive within the Palestinian Authority. In addition to transporting Palestinian patients, the organization also helps the disadvantaged obtain access to outpatient medical equipment. This is whilst organising special rehabilitation and recreation days throughout the year for patients and their families. Brighton, UK – Road to Peace is a non-profit organization which aims to facilitate medical treatment for sick or wounded children in areas affected by war. They also promote organizations using health as a bridge to peace. Courtice, Canada. Running for Peace is a NGO that was established to help underprivileged children around the world by providing them with sporting goods. RFP founder was born in Palestine and was always dreaming of creating peace with his Israeli neighbours so he started running and biking long distances to bring awareness to his cause. Gush Etzion-Bethlehem-Hebron – Israeli and Palestinian group that creates programs to reduce hate and fear, address injustices and foster mutual trust, whilst creating resilient partnerships for peace. Sadaka-Reut seeks to educate and empower Jewish and Palestinian youth to lead social and political change through bi-national partnership and joint activism. Gaza, West Bank, East Jerusalem. – Established in 1882, St John of Jerusalem Eye Hospital is the only charitable provider of crucial eye care in Gaza, the West Bank and East Jerusalem. They treat patients regardless of ethnicity, religion or ability to pay. As a peace orientated and Christian based organization, they advocate strong interfaith relationships. On average, they treat over 25,000 children under 18 across East Jerusalem, Gaza and the West Bank. Nablus, West Bank. A group of single parents and female head of households, separated, widows, gathering together in order to strengthen and empower each other along with their children. SAWA implement workshops in raising women’s awareness of the CEDAW convention, women health welfare workshops and training for economic empowerment. USA, Israel, Palestine – Seeds of Peace help young people from regions of conflict develop the leadership skills necessary to advance reconciliation and coexistence. Treaties are negotiated by governments; peace is made by people. Seeds of Peace is doing what no government can. It is sowing the seeds of peace among the next generation of leaders. It is educating them to develop empathy, respect and confidence. It is equipping them with communication and negotiation skills and enabling them to see the human face of their enemies. Jezreel Valley, Israel – Under the direction of Pnina Inbar, the choir consists of Arab, Jewish, Muslim and Christian girls and are part of the Jezreel Valley Center for the Arts. Bethany, West Bank, Palestine – Pioneering programmes to encourage Palestinian women to participate in society, to become leaders in the community and the nation. This is by promoting womens’ rights and by empowering Palestinian women socially, economically and politically. Bethlehem, West Bank – Shiraa is a Palestinian civil development NGO working in the Bethlehem District, West Bank. Shiraa empowers groups of women, youth and labourers so that they play a greater role in creating a democratic society. To this end Shiraa raises awareness about human rights, offers free legal advice, provides vocational training and runs youth clubs for peace education, youth issues, recreational activities. Kufr Manda, Israel. Sindyanna of Galilee is a women-led fair trade association that operates amongst the Arab population of northern Israel. We produce and market local fair trade products. The Sindyanna Visitor Center and the basketry workshop, provides a meeting point for Arab and Jewish women. Acre, Israel – This Centre was established in 1990 by local Arabs and Jews to provide after-school programmes and meetings for local children, many of whom came from broken families and faced the challenges of high unemployment, drug abuse and lack of educational opportunities. Today the Centre remains independent (funded only through voluntary income) and non-partisan, serving 1500 children, teenagers and women from all backgrounds and communities. It incorporates tolerance and respect in all its activities. Bethlehem – The Steering Center for Democracy is focused on the promotion and upholding of democracy in Palestine. The vision of Steering Center is for a more democratic, more just society in Palestine. The Steering Center believes in the importance of working for peace, of participating in building and shaping a new future for the sake of the children and the generations to follow – for both Israelis and Palestinians. Steiner Waldorf Schools – 1039 worldwide, Israel, Egypt, Lebanon, Jordan. The first Waldorf School opened in September 1919 in Stuttgart. Today (May 2014), there are Waldorf and Rudolf Steiner schools in 60 countries. The educational approach caters for children and young people from 3 to 19. The principles of the educational approach share ideas and concepts that have emerged in recent times – Howard Gardener’s theory of multiple intelligences, the value-oriented concept of education outlined in the Kroneberg Declaration (UNESCO 2007) and the educational priorities set out in the Delors Commission Report: “Learning – The Treasure Within” (UNSECO, 1996). Steiner educational practice embraces the idea of integrated education in which the core skills of oracy, numeracy and literacy are woven together with a study of science and an immersion in the arts. Alongside the the core skills and academic disciplines, experiential learning, through hand-work and land-crafts, and an exploration of moral-ethical ideas, myths and truths of diverse cultures and religions through narrative and biography form the corner-stones of the international curriculum framework. There are currently 12 Steiner schools in Israel and one in Egypt. London, Israel, Palestine – Non-partisan education programme formulated with the input of both Israelis and Palestinians activists, as well as senior members of Jewish, Muslim and Christian communities in the UK and is designed to prepare young people to make a positive, solutions-focused contribution to debates on Israel-Palestine. Israel – Tamar Center Negev (TCN) is a grassroots organization bridging the socio-economic gaps between Bedouins and the rest of Israeli society through education. Tamar was founded in 2015 by 35 year-old Bedouin philanthropist, Ibrahim Nsasra. Nsasra models personal and communal accountability. Through the Tamar Center, he and other young Bedouin role models empower young people to take responsibility for their future, and for the welfare of shared society in the Negev. Belfast UK – An initiative of Dr. Sunil Paulraj, a neonatologist based in Belfast. Toccata is a unit of 85 musicians who share the same passion for music and the urge to give back to the society. UN recognition, acclaim in over 15 nations, over whelming press coverage and an ever growing fan base is what Toccata is so effortlessly reaping for the last 10 years. VACS works in Rafah, Gaza Strip, with children and young people to promote peace, nonviolence and constructive dialogue as a way of life. Also to access quality services and actively participate in the civil society equal to other community members within society. Israel – WAC-Maan is an emerging labour union which runs a programme entitled Youth for Social Change. WAC’s mission is to decrease poverty through labour organization and to build a democratic labour association open to all sectors of labour, Jews and Arabs alike. WESAL is a voluntary, non profit, non political organization. First established in 2004, the organization strives to strengthen and empower the Palestinian people – specially mothers and children- by promoting the development of a civil society and advocating educational, health, economic and social change. Italy, Tulkarem, Tel Aviv, Jaffa – Windows is a non-profit, joint organization of Jewish and Palestinian citizens of Israel and Palestinians from the Occupied Palestinian Territories. Established in 1991, Windows promotes acquaintance, and understanding between both peoples, as well as empowerment of the youth with whom they work, through educational and cultural programs, media and art. Windows was established based on the conviction that educating the next generation, their children, plays a vital role in working for a just and lasting peace, democratic values and human rights, and deep mutual knowledge of the other. Kyanyunis, Gazawas. This was established in 2014 in to play a leading role in the field of community empowerment both in gender equality and legal justice for vulnerable categories in the marginalised areas to become active members in their community. Israel. This is an inclusive, non-partisan, and rapidly-growing movement of Israeli women. It advocates the implementation of a non-violent, honourable and bilaterally or regionally acceptable political solution to the Israeli-Palestinian conflict. This is for the sake of our children and all future generations.. Founded in 2014, Women Wage Peace now numbers over 16,000 supporters within Israel and beyond. East Jerusalem, Tel Aviv, Jaffa. YaLa Young Leaders is a unique online movement dedicated to empowering the young people of the Middle East and North Africa to lead the way to a better, more peaceful future. Co-founded by the Peres Center for Peace and YaLa Palestine in 2011 at the height of the Arab Spring, the movement now numbers over 725,000 members from Palestine, Israel and across the Middle East and North Africa region. Hebron, West Bank – A Palestinian non-governmental organisation that was established in 2008. Yes Theatre believes that theatre and drama can positively influence the children and youth to create a change in their society. Gaza Strip, Palestine. Independent youth-led NGO that works on empowering and helping the most vulnerable groups in society – specially in those areas that are most affected by wars in the eastern parts of Gaza – through programs and projects that serve youth, women and children. Tel Aviv, Israel – Zochrot (‘remembering’ in Hebrew) is a grassroots NGO working since 2002 in Israel/Palestine. It promotes acknowledgement and accountability for the ongoing injustices of the Nakba, the Palestinian catastrophe of 1948. Plus the return of Palestinian refugees as redress of the Nakba and a chance for a better life for all the country’s inhabitants. Enter your email address*. You'll get every Children of Peace update.